When I saw this episode, I wanted make a wall of this scene... 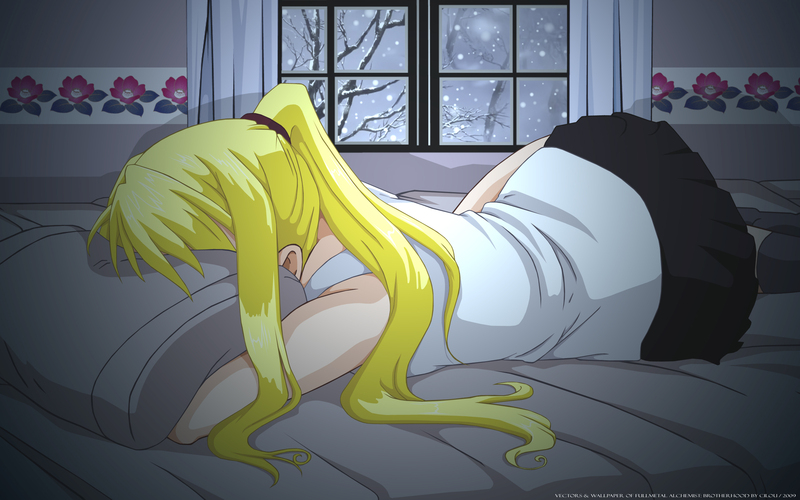 So I search, found, uploaded, cut and vectored this picture of Winry. I wanted show her loneliness, her sadness, so I made a cold wall (snow, blue light,...). No chille por el maricas ese! Yo la consuelo mamacita jajajaja. Wow, this is a great adaptation. Contrastingly to another poster, I think the bright hair enhances the grim, dull coloring of the background....A great picture. Thank you! This is a beautiful wallpaper. I love how it's black& white except for certain part. Join SLEEPLESS PARADISE er else! And when u join there, come join the sister Group VAMPIRES LAIR and have fun everyone! Yeah, this is a wonderful wallpaper ! pfff.. transmite mucho esa imagen..